Since our acquisition of Terra Bella, and the SkySat constellation of seven satellites, we’ve been focused on making this high-resolution data accessible and available via our cloud-based data infrastructure. After four months of heavy lifting from our spacecraft, data pipeline and product teams, we’re pleased to announce that sub one-meter, high-resolution imagery is now accessible and available through the Planet API. The unique capabilities of the SkySats allow us to offer a range of new hi-res products to the market. All SkySats collect imagery with sub-meter resolution (.8 meter GSD), in the Blue, Green, Red, Near Infrared, and Panchromatic bands. 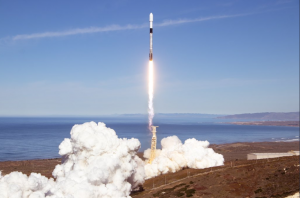 Due to their unique push-frame architecture, SkySats can also capture full motion video with frame rates as high as 50hz and durations longer than 2 minutes. With access to our medium resolution Planetscope data and high-resolution Skysat data, customers can apply “tip and cue” methods, scanning for change in medium-res data, and using high-resolution SkySats to get a closer look. Whether you want to perform targeted high-resolution collects, or image wide areas for mapping purposes, we can configure the SkySat constellation collections to suit your needs. Once a tasking schedule is established, customers may monitor any point on the globe up to four times a week. 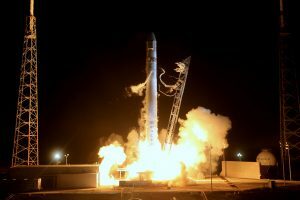 Since 2014, the SkySat constellation has been consistently collecting high-resolution imagery over strategic areas of interest across the globe. In some areas, you’ll find up to 700 collects. 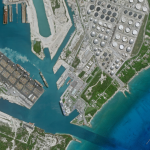 Deep stacks of imagery from the archive can provide historical context for analysts in the shipping, energy, agriculture, retail, intelligence, natural resource, and consumer mapping industries. 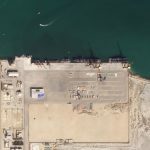 SkySat data is already part of an imagery analyst’s manual workflow—the fine detail of SkySat imagery makes it ideal for image-to-image comparison— but this wealth of high-resolution data can fuel automated analysis methods, too. Tap into the full SkySat archive, create labeled datasets, train automated analysis algorithms, and build the next forecasting model in your industry. Today, Planet owns and operates the largest medium-resolution and sub-meter constellations of imaging satellites in space. When analyzed together, these complementary datasets offer businesses, governments, and researchers unmatched imagery data in scale and coverage.